No tutorial today, but process pics. 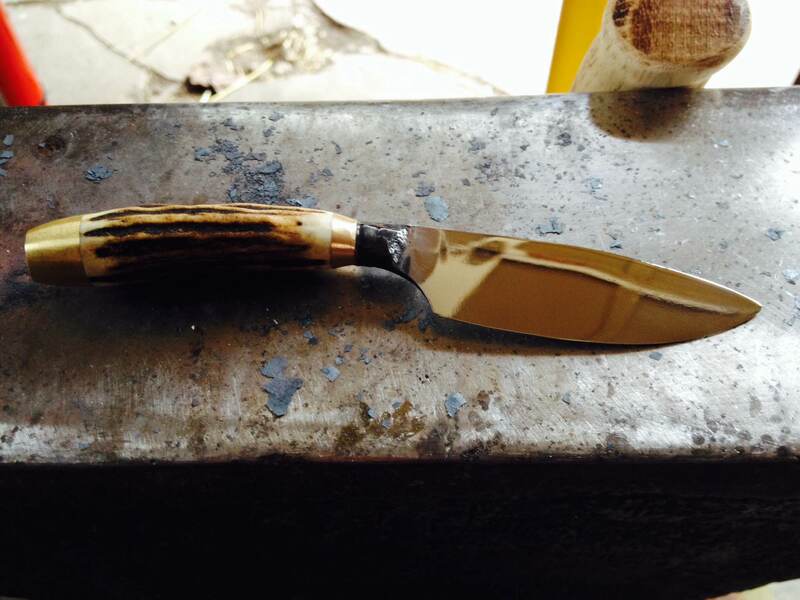 I am working on a drop point hunting knife and was not sure from my sketches if it was going to feel how I wanted. I needed to hold it. I ground the blade just as if it was steel – but it is cherry. I also roughed in the guard and handle in walnut. Here it is with the ‘blade’ glued in and the handle shaped. The ones that say ‘Dot’s Diner 123 main,’ etc… If I see them in a box at an auction or rummage sale, they are coming home with me. My problem with them is that the erasers are rock hard and sometimes the pencil tube is cracked or broken somehow. Usually, they are simply constructed – a tube with an eraser in one end and a steel cap that holds a pencil to put in the other. The pointy cap bit is difficult to make, so we won’t do that. If you don’t want to go through all the hassle of making you from scratch, you can fix up an old one that is in decent shape. 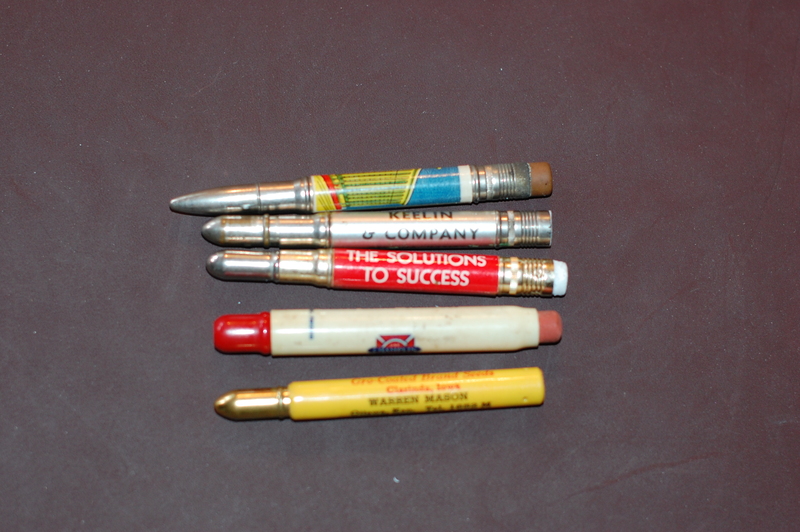 On the vintage pencils I have, the erasers are mostly the same size as newer children’s pencil erasers. 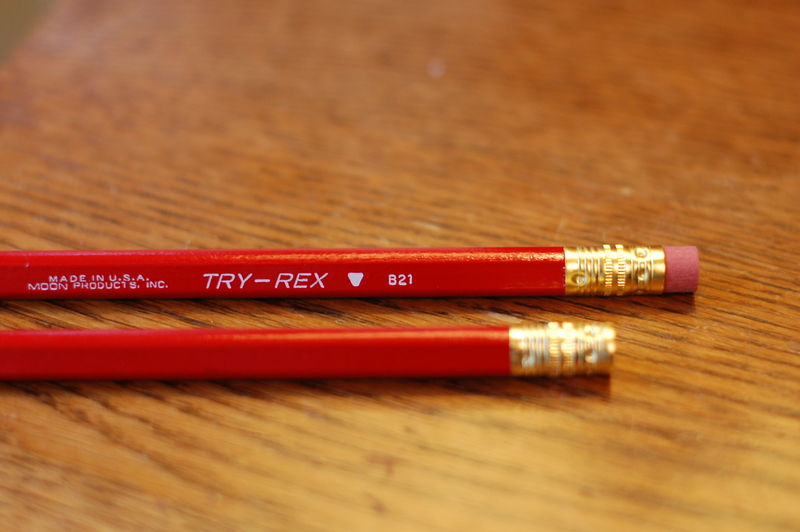 I found a bin full of these Musgrave TRY-REX pencils at a local office supply and I just yank the eraser from the Musgrave and replace the rock hard one in my pocket pencil. I also shine up the caps on my pocket pencils with SimiChrome polish on a soft rag – only a tiny bit of polish is needed. It is foul smelling stuff but does a great job. 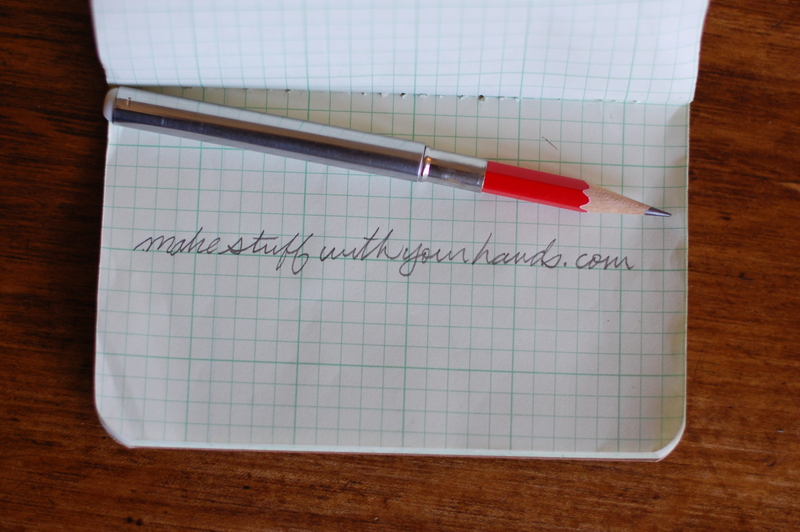 You will need an existing vintage pencil for this. Find the nastiest cheap one that still has a good chrome cap on it. That is the only part we need. Take the chrome bullet end off and head to the hardware store. 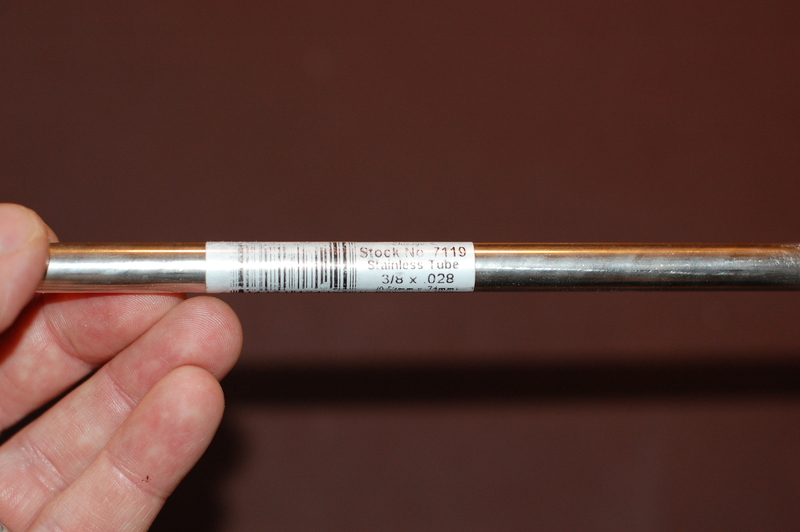 Looking at my local hardware store yielded this 3/8″ x .028″ stainless steel tubing. Use the chrome end off of your old pencil and try to gently press fit it into tubing at the store until you find a piece that is just a hair too tight. If it is too loose, it will not work. 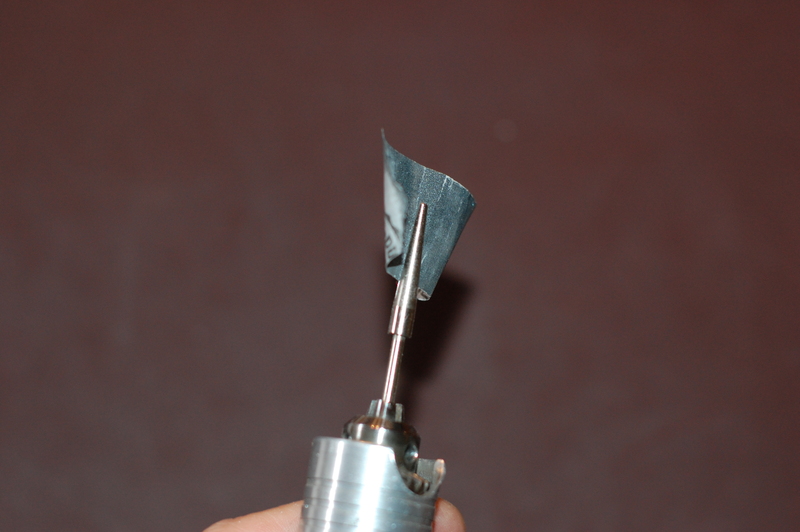 I use this slotted mandrel from Rio Grande that lets me put my own sandpaper bits in my Dremel or flex-shaft. I needed to remove quite a bit so I started with 80 grit, and I worked my way down to 400 grit, constantly testing with the cap from the old pencil, until it just goes in easy enough. Sand a little, test fit, sand a little more, test fit… For the eraser on this one, I found some Retro 51 Big Shot eraser replacements that fit with just a little polishing inside the stainless tube. The Musgrave ones would work, but I liked the look of the white eraser with the stainless tubing. Cut the last few inches off of your Palomino Blackwing pencil (or steal a golf pencil from the library like I did), put it in the chrome cap, and there you have a life-timer of a pocket pencil! I started this knife quite a while ago. It has been sitting on my bench for over a year – until now. I made it to be part of a hunting set and showed the smaller first knife here quite a while ago. 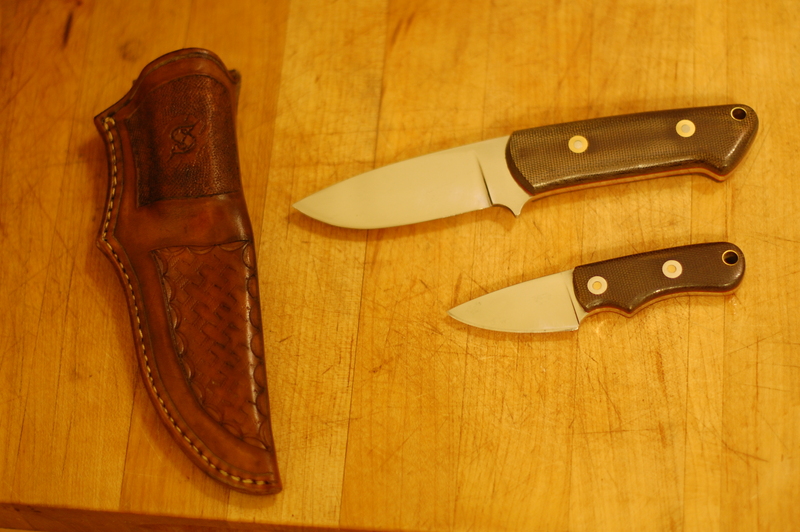 Here are the two knives finally together. I carry the smaller knife as a fixed blade edc pocket knife. They are both 01 steel with green micarta handles and red liners. The blade on the larger one is about 3″. 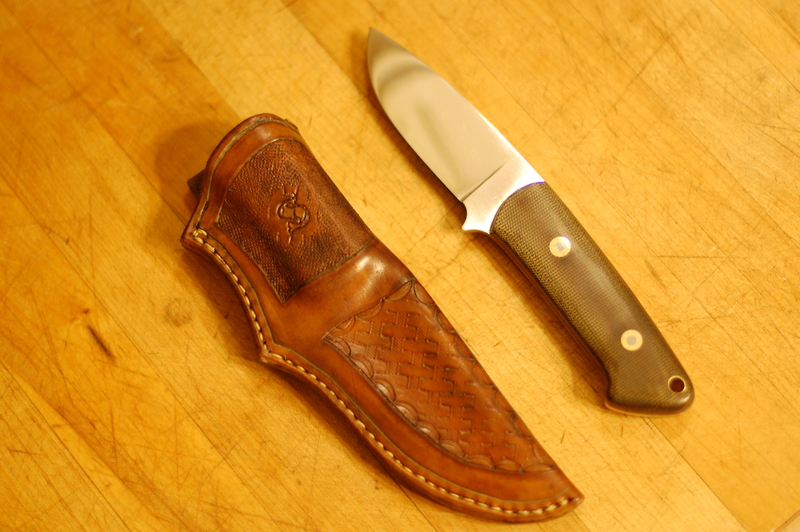 I also made the sheath and to be honest – I almost enjoyed that as much as making the knife. Thanks to my friend Dave from Circle H forge for the beautiful piece of stag. Lots of folks have been helping me with all this. Ray spent an hour walking me through how to make a blade like this. Also, Master Smith Lin Rhea is always there with an answer to anything I need help with. I have come to find that the folks in the American Bladesmith Society are just some of the best people out there. I got to spend a great day with my dad making knives. 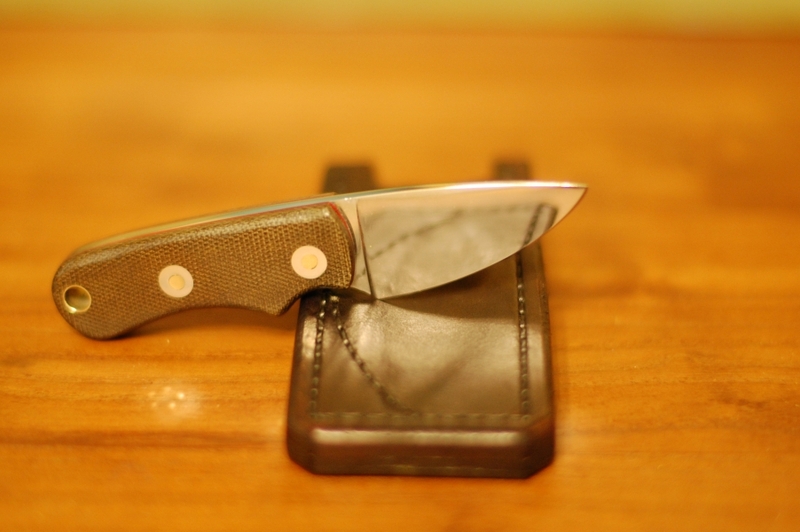 I have been interested lately in having a fixed blade pocket knife so, I put together this pattern and we each made the same knife. 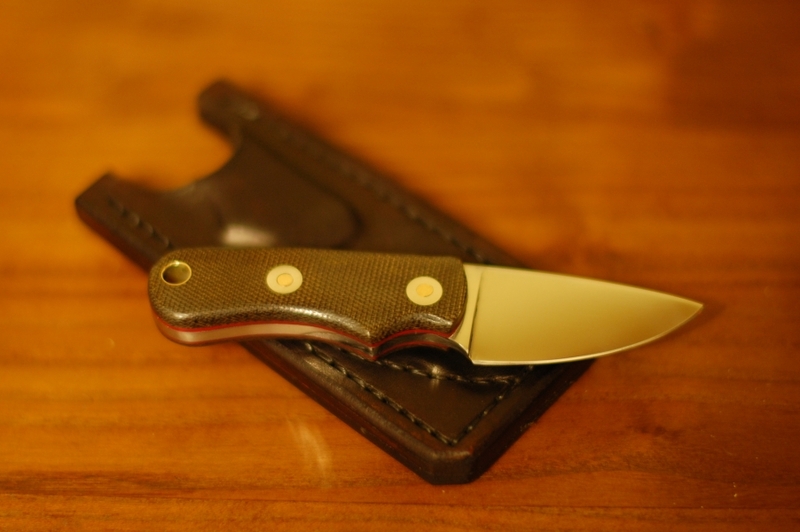 It is sized like a neck knife, but I specifically designed it to be carried as an EDC (every day carry) pocket knife. And here it is in its sheath. 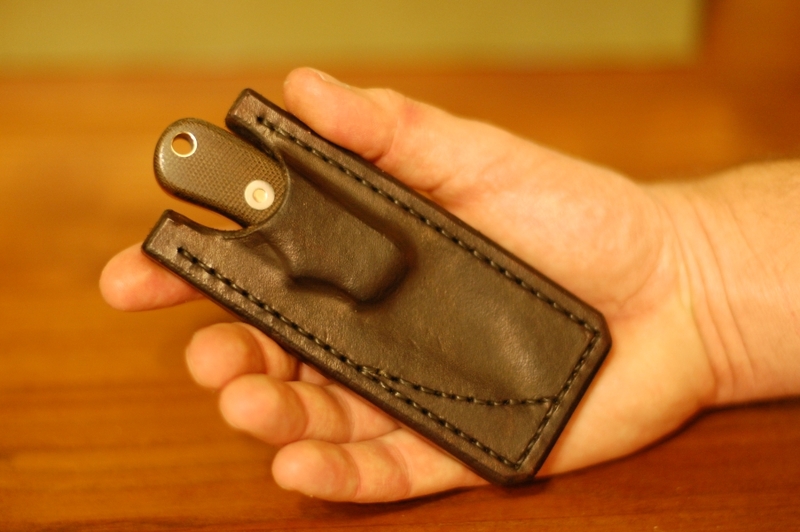 I made the sheath with the Loveless style cam so it makes a great ‘snap’ when you put it away. It is comfortable in my front pocket or the leg pocket in my work pants. I plan to make this a set of three knives. 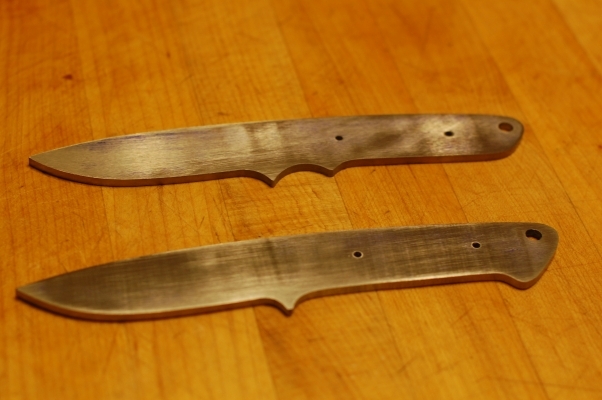 I have two roughed out and plan to cut the third in a similar style to the Loveless chute knife. Here is how far I got tonight. These are in 01 steel. I am starting work on a set of three hunting knives all based on Bob Dozier Patterns which are based on Bob Loveless patterns. If you make knives or are interested in making knives, go get a copy of ‘Knifemaking with Bob Loveless‘ right now and read it. This book is a good one. You are currently browsing the archives for the metalwork category.